We at Charlotte County Sheriff's Office ("CCSO") are committed to respecting your online privacy and recognize the need for appropriate protection and management of personal identification information ("Personal Information") you share with us. Personal Information includes any information that may be used to identify you, such as: first and last name, home or other physical address, telephone numbers, e-mail addresses, or other contact information that is provided to us by you, or any other party. In general, you may visit CCSO's web pages without telling us who you are or revealing any Personal Information about yourself. When you visit www.CCSO.org, you can surf the site anonymously and access important information without revealing your identity. In order to analyze and improve our site, we may use "cookies" to track your visit. A cookie is small amount of data that is transferred to your browser by a Web server and can only be read by the server that gave it to you. It cannot be executed as code or deliver viruses. CCSO will only collect Personal Information where it is relevant for the purposes for which we are collecting it. We will not process any Personal Information for any purposes that are incompatible with the purposes for which it has been collected or subsequently authorized by you. 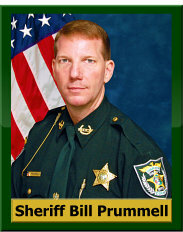 You may choose whether or not to provide Personal Information to CCSO. 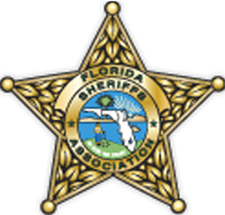 However, when you engage in certain activities on this site, such as filing crime reports, CCSO may ask you to provide certain information about yourself by filling out and submitting an online form. It is completely optional for you to engage in these activities. If you elect to engage in these activities, CCSO may require that you provide certain personal information, such as your name, mailing address, e-mail address, and other personal identifying information. Wherever your Personal Information may be held by CCSO or on its behalf, reasonable and appropriate precautions will be taken to protect such information from loss, misuse or unauthorized access. To the extent that you do provide us with Personal Information, CCSO wishes to maintain it accurately. Where we collect Personal Information from you, our goal is to provide a means of contacting CCSO should you need to access, update or correct that Information. If for any reason you desire to review such information, please contact us at webmaster@CCSO.org and we will make reasonable efforts to provide you with such information. Further, if you notify us that such information is incorrect, or you wish to have such information removed, we will correct, amend, or delete your Personal Information as soon as practicable. www.CCSO.org is not structured to attract children. Accordingly, we do not intend to collect Personal Information from anyone we know to be under 13 years of age. If we are made aware that information is or has been submitted by or collected from a child under the age of thirteen, we will delete this information. We are committed to privacy and support current industry initiatives to preserve individual privacy rights on the Internet. Protecting your privacy on-line is an evolving area, and CCSO's web sites are constantly evolving to meet these demands.